ALBANY – Anne M. Reardon, 81, of Albany, passed away Friday, April 3, 2015 in the Hospice Inn at St. Peter’s Hospital. Anne was born in Albany, the daughter of the late William Dollard and Mary Rice Dollard. She lived here nearly all her life. She was a graduate of Vincentian Institute, and was employed for many years by the New York State Office of General Services. Anne was a devoted mother, and her family and friends meant everything to her, and those who knew her loved her. She was very proud of her Irish roots, loved horseback riding, and was also a dedicated fan of the Boston Red Sox. Anne was predeceased by her husband James D. Reardon. She is survived by her daughters Mary “Terry” Gaetano (Michael), Patti Reardon Plante (David Plante), and Linda Singer (Art Marotta); her brother William R. Dollard (the late Gertrude “Trudy”); her sister Mary E. Kelleher (the late Michael); her brother in law John Reardon (Debra); her grandchildren Stacie Plante, Scott Plante (Angela), Amanda Marcigliano (Lisa), Daniel Ward (Lauren); her great grandchildren Carter and Logan Ward; her Godson Daniel Hupe; and by many loving cousins, nieces, nephews, grand nieces and nephews, and friends. Funeral services will be held in the Hans Funeral Home, 1088 Western Ave., Albany, Wednesday morning at 9:00 am, and from there to St. Francis of Assisi Church, 391 Delaware Ave, Albany, at 10:00 am. Relatives and friends are invited, and may call at the funeral home Tuesday from 4-7 pm. Interment will be in Memory Gardens, Colonie. In lieu of flowers, memorial contributions may be made to The Community Hospice, 295 Valley View Blvd., Rensselaer, NY 12144. To leave a message of condolence for the family or obtain directions to the funeral home, please visit www.HansFuneralHome.com. Click here to view Anne’s resting place in Memory Gardens, Colonie, New York. (Zip Code Albany 12205). Annie was a kind and thoughtful person. I will miss our phone calls, also the holiday phone calls. Especially St. Patrick’s Day and her Birthday. She will be greatly missed. My Love and Prayers to you both. I am so sorry that Annie said goodbye. She was so special to me. I loved her so much and will miss her so much. I was so lucky to have the best Godmother. I will miss her so much! She will be in my heart forever. I will think of you both and Annie when I am swimming with my goggles, playing baseball with my catchers mitt and using my Legos. I will always remember you Annie. I love you! Mary, sending you our deepest sympathies and condolences at this difficult time. We are so sorry for the loss of your mom. We know you have many many happy memories to keep in your heart forever. Anne will be greatly missed. WE SEND YOU LOTS OF LOVE AND PRAYERS. WE WILL MISS YOUR MOM. I LOVED STOPPING BY FOR A CUP OF TEA AND A NICE VISIT WHEN I WAS DOWN HER WAY AND SHE DID NOT HAVE SOMETHING SPECIAL GOING ON. THE RED SOX SHOULD DO WELL THIS YEAR WITH YOUR MOM IN HEAVEN ROUTING THEM ON. WE ARE SENDING YOU A BIG HUG. WE ALL LOVE YOU. 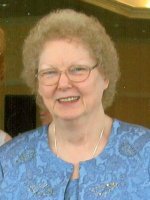 Mary— I was saddened to read today of Mom’s passing. I will really miss her visits with me; we go back a long way. I’ve been out of town for the month and won’t. be back till next week…..but I will be with you and the family in spirit on Wednesday. I am so sorry for your loss. You are in my thoughts and prayers. If you need anything, please let me know. Terry I am so very sorry to hear of the passing of your mother. She was a dear sweet soul. I enjoyed visiting/seeing her at Rella and Sissy’s gatherngs and I know that she was welcomed into Heaven with open arms. We will miss her! I am so sorry for your loss. Anne was such a wonderful woman and I was so lucky to have some amazing memories with her. I’ll never forget our trip to Ireland. I am very glad she was able to make it to my sons baby shower and will always cherish the beautiful outfit she made for him! I’m glad my Uncle Cos will finally see her again. I am so sorry to hear that Anne passed away. I worked with her many years ago at the NYS Office of General Services. She was a wonderful woman and always willing to teach/help/show a “newbie”. Her family and friends have my deepest sympathy.